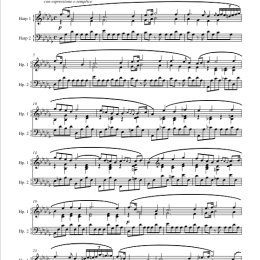 After years of creating our own arrangements and transcriptions, we have finally begun to publish our scores! One of our goals has always been to expand the harp duo repertoire, be it through commissioning new works, consulting with composers, or adapting previously existing pieces. 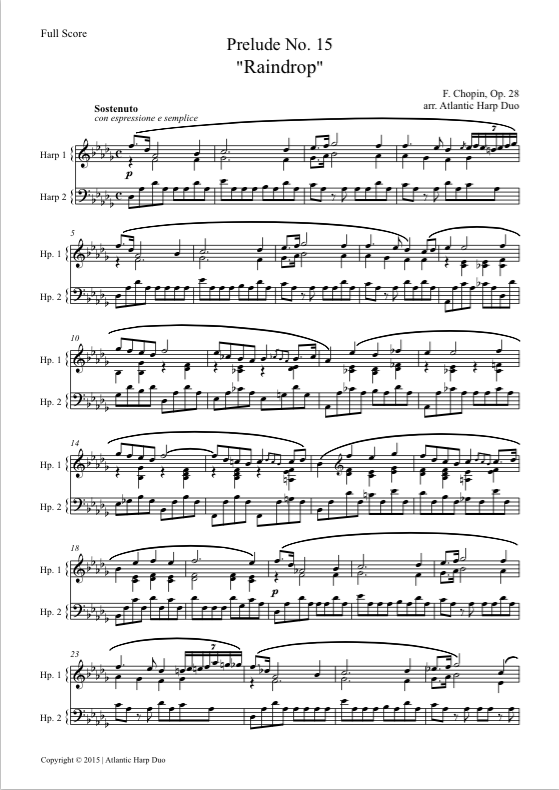 In fact, a large part of our repertoire is composed of works not originally written for harp duo, and over the years we have refined our transcription style to encompass everything we have learned from playing the great (and the not so great) arrangements that are already available. All of our publications include a full score as well as individual parts, available with and without pedal markings. 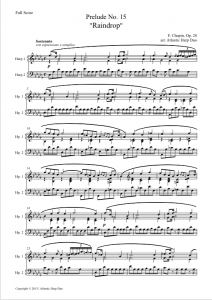 Scores are distributed as high-quality PDFs, and each one has been carefully formatted and edited for maximum clarity. We have given special attention to page turns and pedal markings for the individual parts, which we have tested during our performances. – Chopin’s Polonaise in G sharp minor, op. posth. Check our Scores page periodically for new transcriptions, or sign up for our mailing list to be notified. Our CD distributors are growing! If you would like to help support the Atlantic Harp Duo, you are welcome to make a donation.